Search to find Middletown condos for sale NJ. Someone once asked me how many Condos For Sale in Middletown were there. And the answer is – lots. To find Middletown Condos For Sale you’ll need to look at sixteen different Middletown NJ condo complexes. You can find Middletown NJ condos in Beacon Place, Cambridge Manor, Dunes at Shoal Harbor , Four Ponds at Lincroft, Laurel Greene, The Village at Chapel Hill in addition to other smaller complexes. You can find Middletown NJ condos with either one, two, three or four bedrooms. The homes in The Village at Chapel Hill are approved for FHA financing, which means they can be purchased with as little as 3.5% down. Because FHA financing is not approved in other communities, purchasing a home with an FHA loan is not possible. However, there are other alternatives that will allow you to purchase with a low down payment. If you call us at 732-598-7700 we can discuss this further. Some of the Condos For Sale in Middletown have more than 3,000 square foot of area. There are condos for sale in Middletown with garages, yet others have basements. Some are, indeed, new construction. Some of the Middletown NJ condos are located waterfront. Similarly others have water views. Of course, as the largest town in Monmouth County, one would expect this. Almost any kind of shopping you need you can find along Route 35. There are lots of restaurants in the immediate area. There are also numerous parks and recreation programs. The beaches at Sandy Hook are also in Middletown. The 2010 Census reports that Middletown had 65,522 people. This made Middletown the town with the highest population in Monmouth County. There were 23,962 households in town. The median household in Middletown income was $96,190. 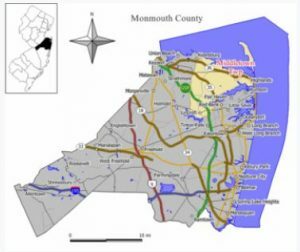 Middletown, in Monmouth County, is known for its low crime, affluence, public school system, and access to cultural activities. Middletown was ranked in the Top 100 Best Places to Live by CNNMoney.com in 2006, 2008, and 2010, and 2014. Middletown has 17 public schools, with over 10,000 students. There are twelve Kindergarten trough grade five schools. Three schools are middle schools (grades six through eight). And when students enter high school, there are two high schools. There are also many private schools in the area. Middletown is also home to Brookdale Community College. There are numerous private schools in the area, as a result parents have many choices for educating their children. Call 732-598-7700 to see the Middletown Condos For Sale, Condos For Sale in Middletown or Middletown NJ condos.